The Austrian zither is synonymous with The Third Man (1949), considered by many cineastes to be one of the greatest films of all time. A combination of guitar and harp, it is a five-string fretboard that belongs to the piano family and is played with the left hand. The pleasant and alluring signature sound of the zither score starts with the eponymous theme tune – re-titled ‘The Harry Lime Theme’ in the UK after Orson Welles’s character. This seemingly inauspicious musical moment singlehandedly introduced the post-war world to a very unusual Austrian instrument. ‘The Third Man Theme’ enjoyed 11 weeks at number one in America. This kind of stand-alone success didn’t go unnoticed by the movie moguls. It pioneered the use of soundtracks to market and sell films. Like all the best innovations and cultural phenomena this paradigm shift was entirely down to chance. Director Carol Reed was picking up carafes of wine for his crew when he spotted Viennese local Anton Karas playing the zither for pennies in the courtyard of a small sausage restaurant on the outskirts of Vienna. It was the first time Reed had heard this strange instrument. His mind raced as he wondered if it could carry a whole film score. Karas was a virtuoso; he’d been playing ever since he found a concert zither in his attic in 1918 aged just 12. Reed brought him back to his Austrian hotel and after successfully testing recordings of the zither with rushes from the film he invited the stunned Karas to score the music for The Third Man. The Austrian musician spoke no English and initially took some convincing to come to London. Eventually one night he asked Reed to listen to a new tune he’d done – this turned out to be the first recorded version of ‘The Third Man Theme’. Reed loved it and, unappreciative of the skills required, asked him why he hadn’t played that before. Karas supposedly told him that the tune takes a lot out of your fingers. 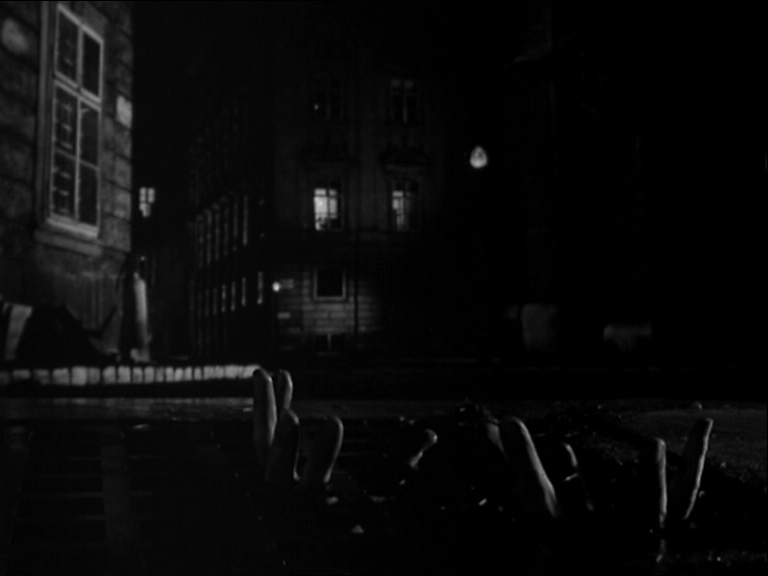 In the wake of The Third Man’s success the venues for Karas’s performances changed dramatically. He was invited to play the zither for Princess Margaret in Buckingham Palace and for the Pope in Rome. With the money he made from the film Karas bought a bar in Grenzing, Austria… and called it ‘The Third Man’.